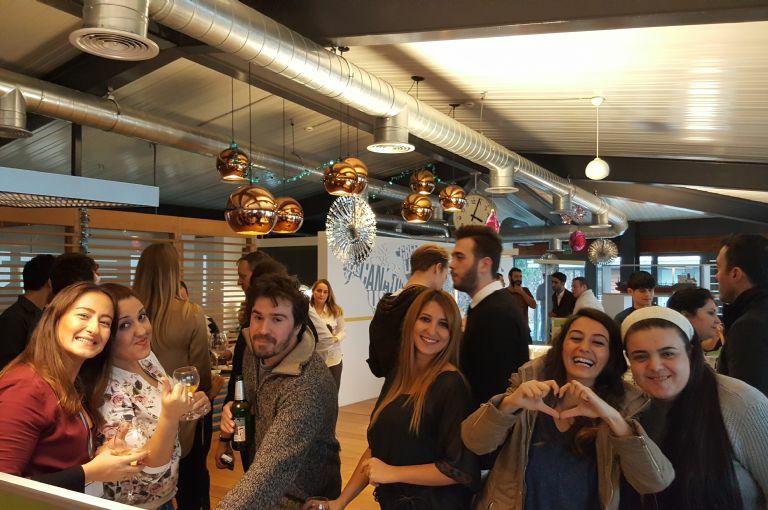 The office staff of Armona Denizcilik & Atlantis Tankers got together to celebrate the end of 2016, welcoming the year to come. It was a fantastic afternoon for socializing and thanking everyone for all of their hard work & performance. We enjoyed home-made Turkish foods from the local neighbourhood restaurant: Burcu's Ev Yemekleri, complimented by drinks, music and later in the night lots of dancing. Pictured from left to right: Yasemin, Aynur C., Can, Aynur M., Buket and Seval. Atlantis & Armona wish you a happy new year and we look forward to improve ourselves and strengthen our position as Turkey's largest short-sea chemical tanker owner. During December we expect the hull of Atlantis Alicante to be finalized and the ballast tank coatings to commence. The superstructure is completed and will be fitted to the hull after launching which is also planned for December, or in terms of shipping, if all goes well. Engine Room outfitting has started, main deck piping is almost completed. During December we expect the hull of Atlantis Alicante to be finalized and the ballast tank coatings to commence. The Atlantis Armona was en route to Huelva when at 13:50 GMT+1 a refugee boat was spotted 15 nautical miles from the shore-line. At 14:05 GMT+1 the Master of the Armona informed the Spanish coast guard of the position and situation of the sighted vessel. Upon receiving the notice, the coastguard (Salvamento Marítimo) sent a helicopter and rescue boat to specified position. It was a dinghy carrying 15 people of African origin. In total the coastguard saved 83 refugees from 4 dinghies that day. All of them were rescued and safely brought to shore. 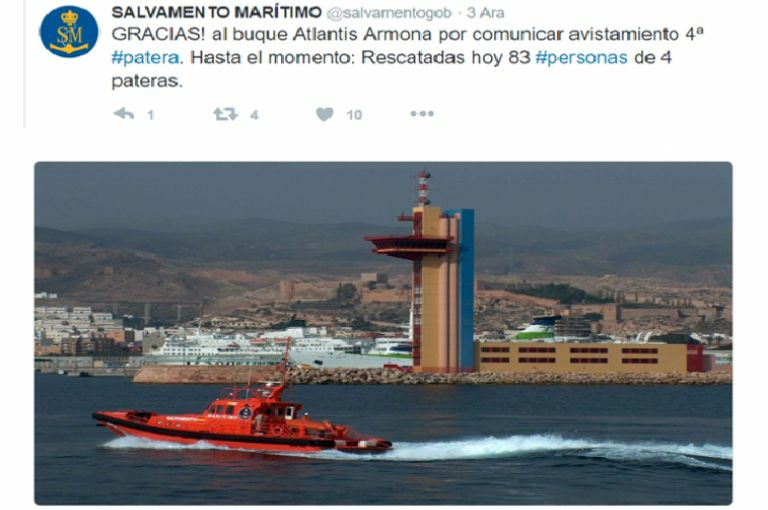 Pictured is the tweet from Salvamento Marítimo’s official Twitter account thanking the Atlantis Armona for having communicated with the authorities. Atlantis Armona was en route to Huelva when it spotted a refugee boat carrying 15 African migrants. The process of adapting Shell Resilience Trainings to the Company has begun once again! Resilience is an essential part of the zero-incidents and safety oriented initiative “Maritime Partners in Safety” created by Shell and it currently contains 5 different modules. 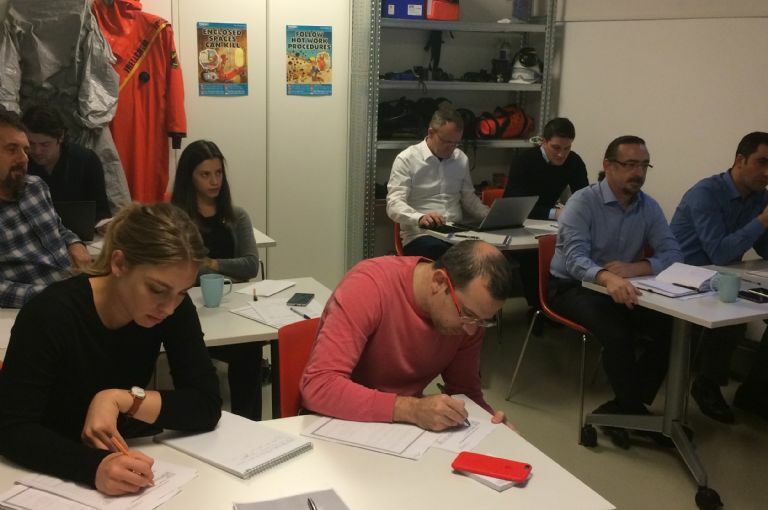 The modules are aimed at “enhancing the ability to cope with pressure and stressful personal or professional events.” Previously, the Company had completed Module 1 and now, led by the one of the new HSEQ Coordinators Eng. Aybars Oruç, the project to complete all five modules has picked up speed with completion of Module 2 anticipated for the first quarter of 2017! The pictures show a Resilience Module 2 Training session that was conducted with the participation of the CEO, the CTO, a Fleet Master, and shore personnel from the HSEQ, Crewing, Purchasing, and Vetting Departments. A truly informative two day conference themed around the commercial, technical and operational aspects that drive the chemical, product and crude tanker sector took place in London! Andrew Cassels (Director at the OCIMF), Capt. Howard Snaith (GM at CDI), and Stavroula Betsakou (Head of Tanker Research at Howe Robinson) shared their valuable knowledge and ideas with a crowd of enthusiastic listeners at the Tanker Shipping & Trade Conference. Networking with the likes of Catrine Vesteren (Business Director at DNV GL) and Warwick Norman of Rightship was also one of the highlights. Discussions were held and memories shared with Alex Kahl (consultant and former UTC’s vetting manager in operations) and Kathi Stenzel (MD of ITOPF), regarding Germany’s past state-of-the-art management. The CEO was seen reminiscing past times with former colleague Volkmar Galke from Winterthur Gas & Diesel, who worked for MAN B&W, then Sulzer and Wartsila; he contributed to much of our knowledge and joy of getting up to speed with the developments of the industry. Pictured is Edwin Lampert (Chairman of the Tanker and Shipping & Trade Conference, Group Managing Editor and host of the conference), and our CEO of Armona Denizcilik, the operator arm of the Atlantis Tankers Group. A big shout-out to Edwin and a special thanks to all of his lovely staff who put their heart and soul into creating an outstanding event. The tradition of Company-Run Seminars that began at Armona 3 years ago as a requirement in TMSA Element 3A has exceeded all expectations! Our 6th Company-Run Seminar that took place at the Armona Office on the 8th and 9th of November was the largest and most successful yet with the participation of 25 Senior Officers, 14 Junior Officers, and many crew members and cadets. Following the speeches of our CEO Lorenz Weinstabl and our CTO Semih Falay (The picture shows Captain Semih Falay addressing his welcome to the audience) the program proceeded with insightful presentations by the shore personnel and keynote speakers regarding a wide range of subjects such as the psychology of seafarers, cyber attacks, media-response, legal know-how at sea, and learning from incidents that have occured in the sector. 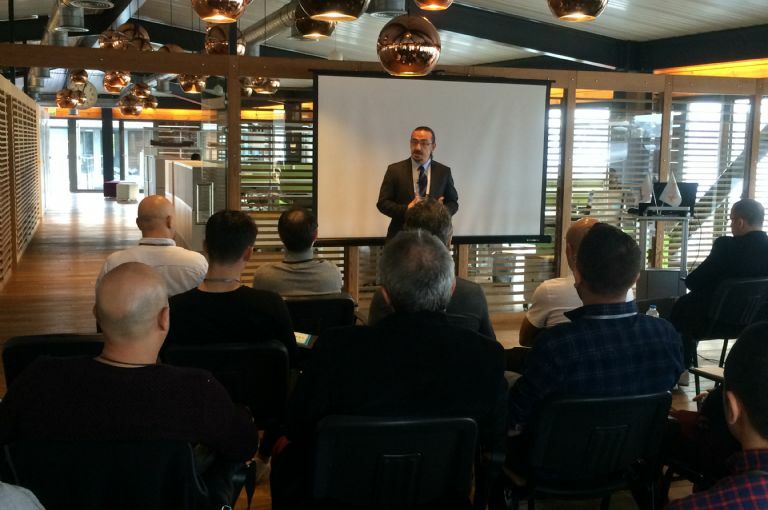 The seminar was not only educational but it also provided an opportunity for the shore personnel to become well acquainted with the company sea farers through a lunch at a famous kebab restaurant in Ortaköy, a night of rakı-balık (rakı-fish) in Beşiktaş, and a pizza party/cocktail hosted in the office.